We live in a world where almost every problem we have can be treated with medicine. There are medications for mental health complications such as ADHD and even depression. There are so many people across the globe that resort to a string of medications to keep serious symptoms from developing and whatnot. However, these medications also come with side effects, and these side effects can give rise to other mental and physical problems. In conditions like these, it is better to talk to someone rather than take drugs that will eventually cause further problems. Emotional instability is common and in some cases, the condition is referred to as healthy. But over a longer period of time, it can become harmful. The person should therefore talk to someone to let go of the build up of negative energy inside of him. 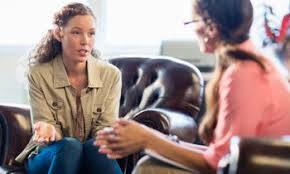 Psychotherapists use the same technique to help people with some common conditions. They are specially trained professionals who understand the problems their patients are facing and give them a safe space to talk about themselves. Losing someone close to you, be it a family member, a friend or a pet can have a numbing toll on your brain. You end up feeling lost and full of despair. Grief counseling by a therapist can help the person recover from that state of mind as they understand it is better to let go than to hang on to what is not there. The grief can turn into serious forms of depression if left untreated therefore it is important to consult a psychotherapist as soon as possible. The human mind can become a ticking time bomb of emotions when it comes to conditions such as depression and stress. All of a sudden you might start over thinking matters that are otherwise trivial. For example, if someone in the subway gave you a look, you will spend the entire day thinking of what it meant and might possibly arrive at the conclusion that you are ugly. This is how depression begins when a person loses his self confidence and the will to live. The therapist will therefore channel all the negative thoughts and turn them into positive ones. He will help you figure out your worth and make you realize the options you still have remaining. Relationships can be tricky, especially when both parties decide they do not want to compromise on anything. A therapist will help clear any misunderstanding between you and your girlfriend/wife and help relight the spark in your relationship. He will also ensure both of you leave the therapy with a better understanding of each other’s wants and needs therefore helping you two prepare for the future. Paranoia can be a very debilitating mental condition. It can give rise or panic attacks and enhance your levels of anxiety. This is a condition where an individual loses his will to trust others because he thinks he will get betrayed in the end. He ends up thinking the whole world is against him. This problem can lead to a string of different medical conditions.A therapist can help with extreme cases by helping the person begin to trust again. 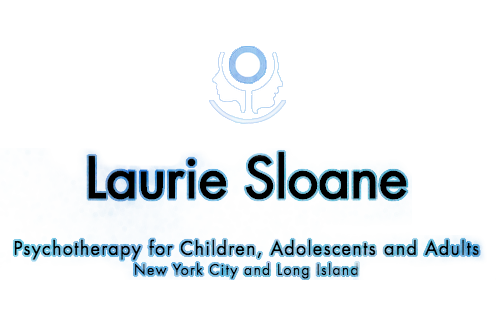 If you’re thinking about seeing a therapist for any of the above conditions or other, give me a call today at 212-413-7088 or email me to see if therapy may be a good option for you.